​​Manchester United are reported to be stepping up the pace of their pursuit for ​Borussia Dortmund winger Jadon Sancho in order to gain competitive advantage over late entrants into the market for the youngster. Multiple reports have claimed that amid interest for the player from PSG, the Red Devil chiefs have met with Sancho's representatives over a £70million summer transfer, with the winger thought to prefer a return to England. While Dortmund's sporting chief Michael Zorc recently revealing that the club were 'definitely planning for next season with (Sancho)', ​Daily Mail quote a report from The Sun who claim that Manchester United and PSG are involved in a heavy battle for the winger. Sancho left Manchester City in 2017 in order to gain more game time and has flourished in the Bundesliga. His performances eventually led him to be called up to the England national team. He was previously the captain of the England U-21 team. The interest from Manchester United for Sancho is reportedly coming in the wake of them dropping their interest in FC Barcelona star Philippe Coutinho. 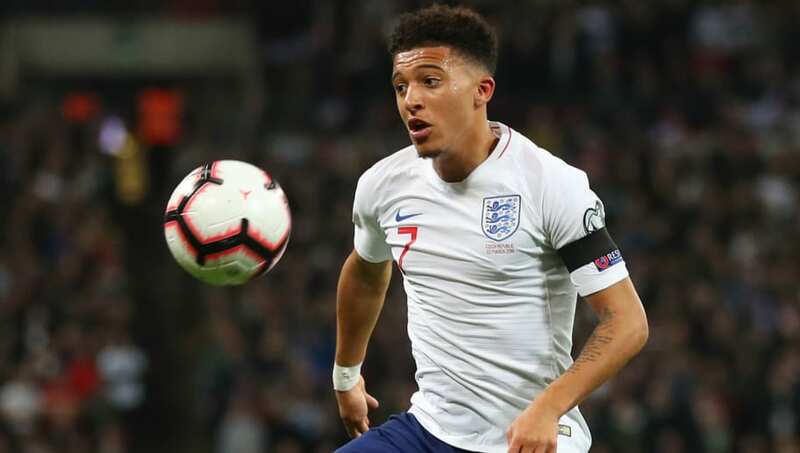 Recently, ​Jadon Sancho also retweeted a tweet from Goal quoting Manchester United legend Rio Ferdinand asking the Red Devils to sign the youngster, before hastily undoing the retweet.